Taxes have a large impact on investment returns. 2. What Are the Benefits of Long-Term Capital Gains? Investment returns don't happen in a vacuum. One way or another, income taxes play a role in determining what you actually make. Calculating returns on an after-tax basis helps you compare apples-to-apples between investments that receive different types of tax treatment. Since taxes can easily exceed 40 percent for high-income taxpayers in states that have income taxes, tax considerations can make a significant difference when looking at investments. Investments are subject to taxes that vary based on your income. The federal government taxes interest income as regular income and levies a 3.8 percent surtax if you make more than $200,000 if you're single or $250,000 if you're married and file jointly. Profits from trading assets that you held less than a year and profits from non-qualified dividends, such as those you earn from many real estate investment trusts, are treated the same way. Long-term capital gains on assets that you sell after holding them for at least a year and qualified dividends are taxed at 15 percent if you earn less than $200,00 or $250,000 if you're married, 18.8 percent if you're over that threshold, and 23.8 percent if you earn more than $400,000 or $450,000, depending on if you're single or married. In addition, you may also have to pay income taxes to your state, if you live in one of the majority of states with an income tax. Over the 100 years from 1912 to 2012, stocks have returned an average of 9.8 percent per year -- split relatively evenly between dividends, which are usually qualified, and price appreciation. If you are subject to the 18.8 percent (15 percent plus the 3.8 percent surcharge) federal income tax rate and pay taxes to your state at a 7 percent rate, your effective after-tax return drops to 7.05 percent. Living in a 10 percent tax state and paying 23.8 percent to the IRS drops your return to 6.29 percent. Fixed-income investments such as bonds are taxed differently. Interest from Treasury bonds is subject to federal income tax, but not to state income tax, and is taxed as regular income. This means that if you pay taxes in the 33 percent bracket, you'll pay 33 percent income tax, plus the 3.8 percent surcharge on your Treasury bond. This reduces the yield on a 3.81 percent bond to 2.40 percent. Corporate bonds are subject to both state and income tax, so a 5.5 percent bond in a state with 7 percent tax would only yield 3.09 percent after 43.8 percent in state tax, federal tax and federal surcharge. Municipal bonds are issued by government agencies and carry a lower interest rate than regular bonds. This is because income from them is free of federal income tax and is also untaxed if you live in the same state that issued the bond. If you buy a tax-free muni from your state and it yields 4 percent, you'll get to keep the entire 4 percent. Regardless of whether the interest income is tax-free, if you buy a bond at face value and hold it to maturity, you won't have to pay any capital gains tax, since you'll get your money back. However, bonds bought and sold on the secondary market are treated the same way as buying selling stocks, so you could be subject to capital gains tax. Both regular and municipal bonds are subject to capital gains tax. Some investments throw off income that's partially tax sheltered. For instance, income from oil and gas royalties is taxed like regular income but carries a special depletion allowance that lets you exclude 15 percent of your gross income from tax. If your investment returns 10 percent and you're subject to a 43.8 percent combined tax, the depletion reduces your effective tax rate to 37.2 percent, giving you a 6.3 percent after-tax return. Real estate works similarly since you can write off a portion of the asset's price as depreciation. The amount of depreciation you can claim varies depending on how you structure the investment, but it's theoretically possible to structure the investment so that depreciation pushes you into a loss. Oil and gas and real estate investments are also eligible for 1031 exchanges. If you sell them and use the proceeds to buy more real estate or oil and gas interests, you can defer your capital gains and depreciation taxes. Tax-advantaged accounts change the return equation. Investing in them lets you trade freely within the account without tax liability. In addition, while you end up paying tax somewhere, your incremental growth is tax-free. 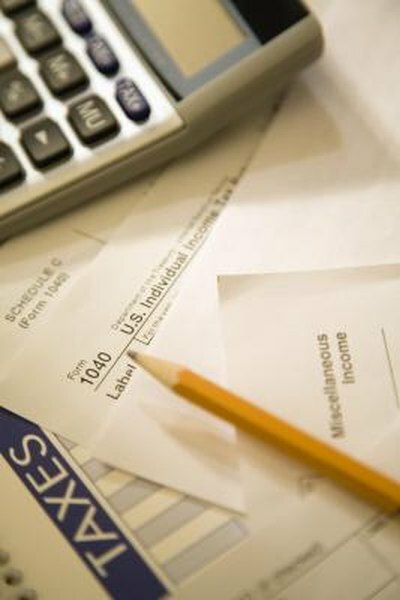 You eventually pay the taxes in a lump sum when you pull the money out of a tax-deferred account such as an individual retirement account or 401(k). Roth IRAs are particularly valuable when you compare them with investing in a taxable account. Stocks bought in a taxable account have the tax rates already described, but when that after-tax money goes into a Roth IRA, everything comes out tax-free, assuming that you meet your Roth's distribution rules. Generally, for a tax-free withdrawal of your profits, your Roth will have to have been open for at least five years, and you'll need to be at least 59 1/2 years old. However, you can pull your contributions out at any time tax-free since you've already paid tax on them. When considering investments for these types of accounts, remember that the account brings the tax advantages. This means that it usually doesn't make sense to put tax-advantaged investments in them. For example, putting a municipal bond in a Roth doesn't make a lot of sense, since it would also be tax-free if it wasn't in a Roth. BRC Advisors: What is a Zero Cash Flow Deal?